Who are you, how did you meet and when did you decide to start a band? If you had to describe your sound and aesthetic to the uninitiated, what would you say? Hard bluesy Rock and Roll with a few dashes of country woven into the mix. What’s been your most memorable gig to date, and why? So many gigs, but so few I can go into detail with while, “on the record”, hahahah! If you could record a track with any artist living or dead – which track, which artist, and why? What would you say is the most challenging thing for up and coming bands in regional Queensland? 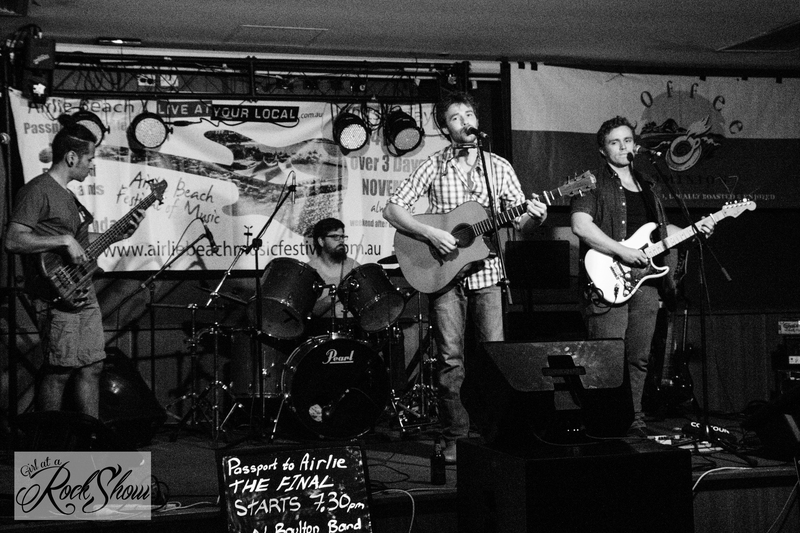 You’re playing Airlie Beach Music Fest this weekend – how did you score the gig? We won Townsville’s Passport To Airlie Battle of the Bands Competition. Who are you most looking forward to seeing over the weekend? King Social and The Koffin Rockers!!! Where else can we see you in the near future? You can catch us at the Commonwealth Hotel band night on December 5th and King’s Christmas at the Venue on December 20th. Can we stalk you online? If you’d like to hear more from Three Mile Road, you can follow us on Facebook! You can also find our videos on YouTube. Any plans for records? Singles? Tours? Festivals? We’re currently in the process of recording our latest single called, “I Know A Girl”, which we’re hoping to release in early/mid 2015. Three Mile Road will be performing at the epic Airlie Beach Music Festival in Airlie Beach this weekend – 74 bands, over a dozen venues, three days of non-stop music in the beautiful Whitsunday sun from November 7-9. For more information and tickets, visit the official festival web site. If you would like your band to be featured on the site, please contact us via the form in the ‘About Us’ section, send us a message on Facebook or email us direct at girlatarockshow (at) Hotmail (.) com with the subject ‘Band Intro’.